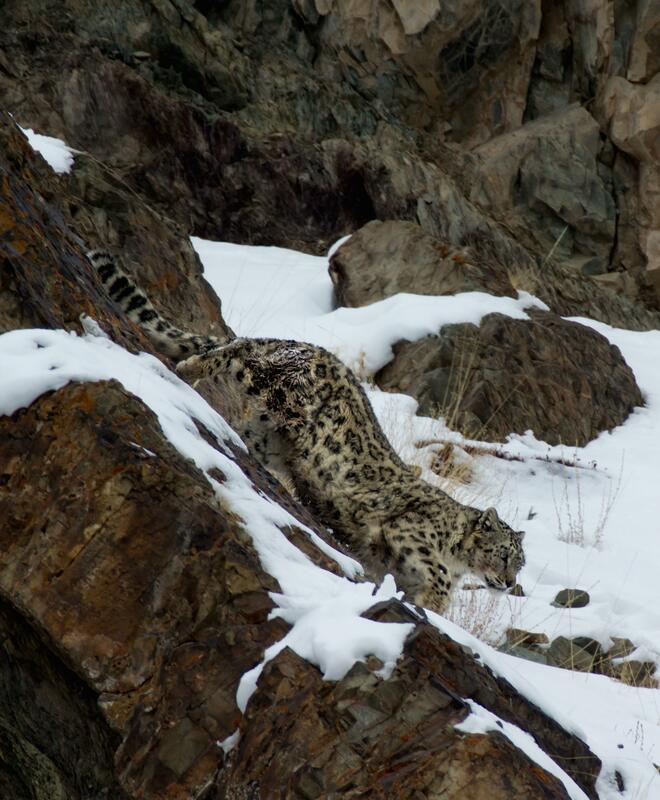 The Conservancy facilitated deployment of 57 new trail cameras in Mongolia, Nepal, and Pakistan, greatly adding to our local partners’ ability to monitor snow leopard populations in their critical habitat areas. 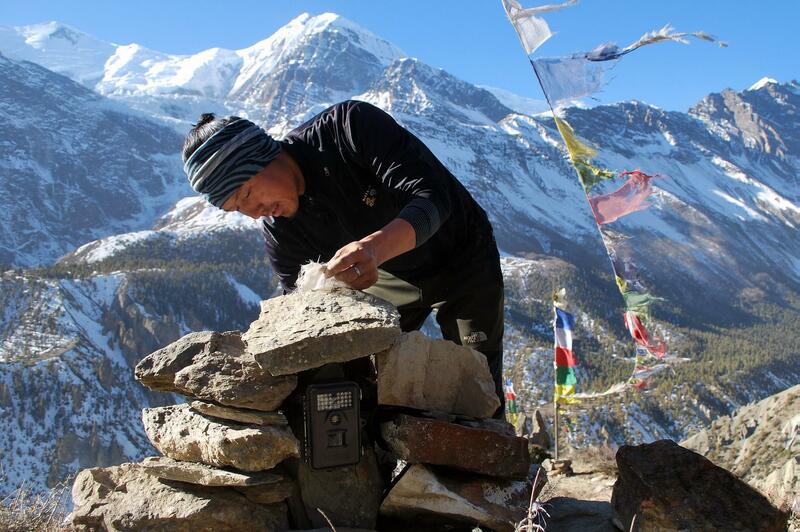 Tashi Ghale, Conservationist with Conservancy partner GPN, sets a trail camera in Nepal’s Manang District. Knowing the actual leopards that inhabit their neighborhood engages communities in better stewardship of the cats and their ecosystem. Conservancy partners led the celebration of Snow Leopard Day in Nepal and Pakistan. 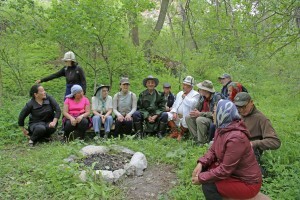 Land of Snow Leopard (LOSL) Network members independently initiated celebrations in Kyrgyzstan, Mongolia, Altai & Buryat Republics of Russia, and Tajikistan. 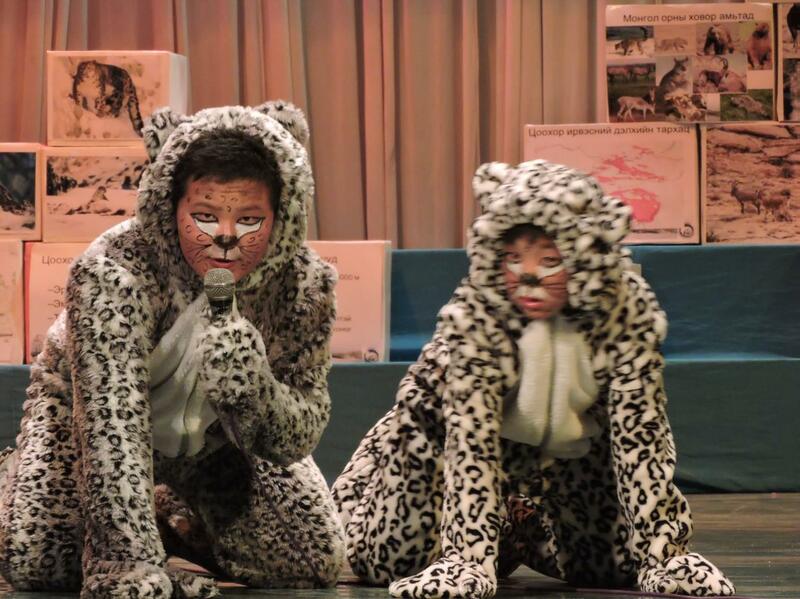 Combined, their conservation messages reached some 15,000 students, teachers, and members of the general public living in snow leopard habitat. 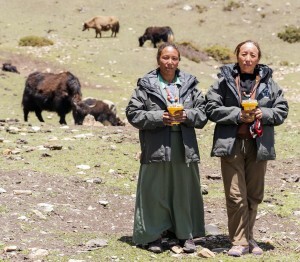 Conservancy partners worked with herders to install Foxlights and predator-proof livestock corrals, protecting up to 125 snow leopards from retributive killing across more than 25 village areas in Nepal and Pakistan. Herders ready to set up their solar-powered Foxlights. 36 Community Monitors were trained by our Land of the Snow Leopard Network members in Kyrgyzstan, Tajikistan, Russia, and Mongolia, to use our special App for Android devices. They are now monitoring wildlife and collecting culturally-relevant stories that will inform innovative educa-tional tools for snow leopard conservation. Bhutan’s fifth annual Jomolhari Festival featured a new logo and felted snow leopard handi-crafts created by students at the school for the deaf.